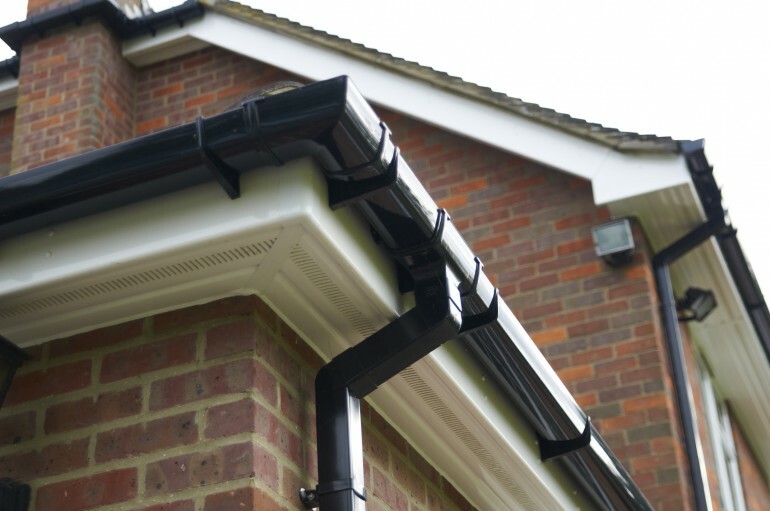 As rainfall begins to increase after the summer, it is time to clean out your guttering, give it a fresh lick of paint or even replace it in time for winter; after all your home will probably be battered by rain, sleet and snow over the coming months. It’s better to be prepared and comfortable, than unprepared and battling with the elements. Over the summer and with early autumn, debris will have gathered and leaves will start falling from the trees, all of which can cause blockages in your guttering and downpipes. To clean your guttering without hiring a professional, you will need a ladder, a long hose, protective gloves and a bucket to put the debris into. Only carry out this cleaning yourself if you’re comfortable going up a ladder! If you’re not, it is definitely best to hire a professional cleaner. Step 1 – Safely position the ladder next to the guttering, ensuring there are three points of contact at all times, having someone hold it sturdy at the bottom if necessary. Only do this if you are 100% comfortable and used to going up a ladder. Step 2 – Taking your bucket up with you, wearing your gloves, scrape out the debris making sure you don’t over-reach and risk falling. Only gather small, manageable amounts and lower the bucket down slowly. If there’s any falling debris warn anyone who could be at risk below. Step 3 – Once the majority of debris is removed, bin it and go back up the ladder with the hose turned on ready to flush out any remaining dirt and grime. Use the hose to wash dirt down the downpipe. This should create free flowing guttering once again. 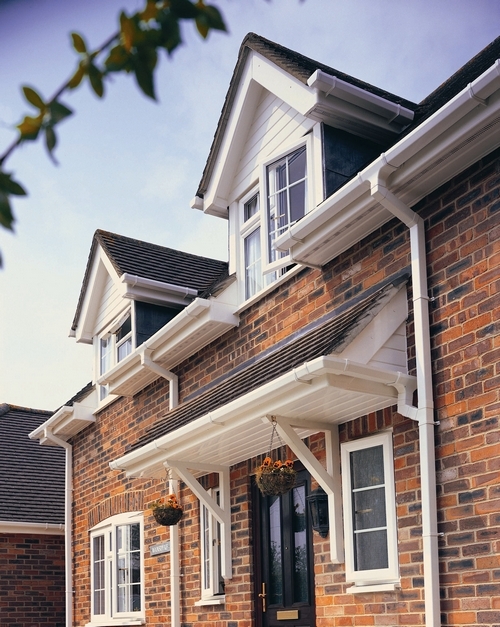 Step 4 – Should there be any holes in your guttering you can fill them with all-weather mastic. If it is leaking at a joint, remove it, check for debris and clean. If it still leaks, you may need new guttering. Step 5 – If there is a gap between your downpipe and drain, push the hose up the pipe with the water flowing quickly and powerfully to disperse any blockages that might be in the downpipe and to clean it thoroughly. If there isn’t anywhere to insert the hosepipe, screw the bottom section of downpipe off and squirt the hose up the downpipe to clean, replacing the piece when finished. Step 6 – Finish off the grand cleaning job you’ve done by painting any areas that are looking tired and worn. This should give you top notch, free flowing guttering that looks as good as new once more. 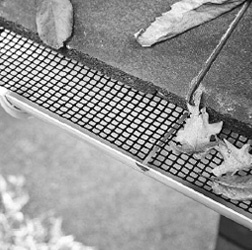 To protect it further so you don’t have to clean it out again, you could install a gutter protector. There are a number of options available, that allows water to flow through, but large chunks of debris or leaves cannot fall in. Bird comb protection also helps to prevent birds from nesting in the roof of your home. Some species can cause damage when nesting, a price you may have to pay if something isn’t done to protect your roof. 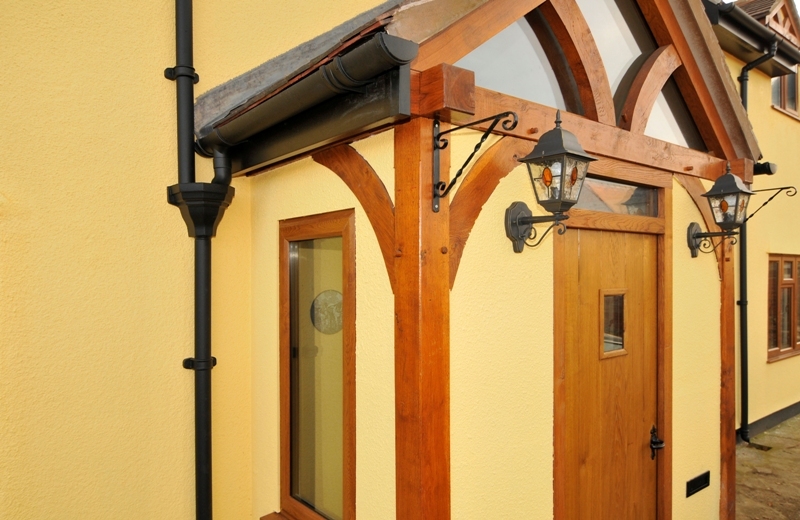 Alternatively, your guttering may be in complete disrepair and need replacing. If this is the case, it may be worth looking for a company who do low maintenance, uPVC guttering, fascias and soffits, so you can fit and forget. No repainting, no rot, no risky maneuvers up a ladder!